This entry was made for the Sketchfab Texturing Challenge. So I think I’ve put way too much time in this challenge, but it was really fun. 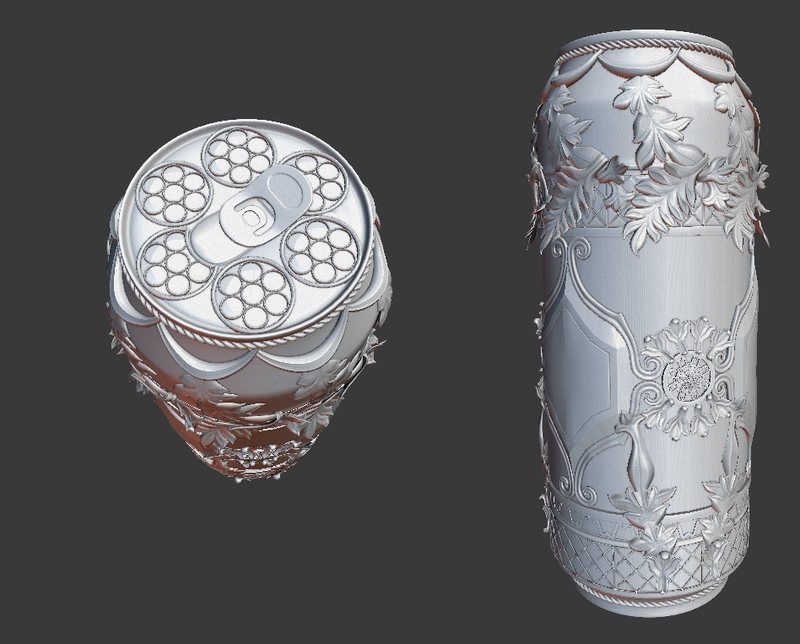 I really wanted to nail the Baroque style on this modern can to make it look really old, as well as play with the wide range of options Sketchfab allows with materials. Below is a clay model that I used for baking. All the decorations are hand made. I ended up with a couple million vertices to get all the right bevels and sharpness. I could have spent some more hours on the polishing part, but I think this does fine enough.